Figuring out a location to host your next private or corporate event? 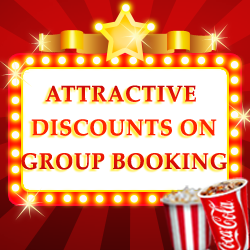 Balaji Movieplex offers a unique venue to host your events providing you with good food and a great movie experience. For a stress free event, please contact us at info@balajimovieplex.com or call us on +91-8879854473 and our event planners will get in touch with you about our different packages and prices.